The UNPO authored an alternative report to be reviewed during the Universal Periodic Review of Ethiopia in April-May of 2014. 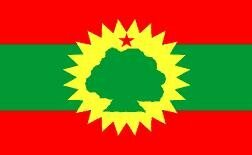 The Ogaden (left) and Oromo (right) flags. On 16 September 2013, the UNPO submitted an alternative report to the Universal Periodic Review of Ethiopia, whose State report is up for review in April-May 2014. The five-page report discussed numerous human rights violations that have been committed against the Oromo and Ogaden communities of Ethiopia. After giving a brief history on both Ethiopian groups, the report then addressed each violation individually, then provided recommendations to improve on the human rights conditions. Each UN member nation must complete a State report every four years which acts as a self-evaluation of its treatment and adherence to human rights conventions and treaties. Non-governmental organizations have the option of providing alternative reports that discuss issues and injustices that may not appear in a state’s own report. The UNPO specifically discussed the issues of right to assembly, freedom of expression, arbitrary arrests, extrajudicial killings, and torture. Both the Oromo and Ogaden people of Ethiopia have suffered various forms of persecution in their attempts to practice their Constitutional rights to assembly and freedom of expression. Peaceful demonstrations and protests are met with heavy-handed police action and arbitrary arrests. The Ethiopian government has also taken extensive measures to silence the voices of criticism beyond its borders in arresting two Swedish journalists who threatened to expose the Ethiopian government on its treatment of the Ogaden minority in eastern Ethiopia. The issue of arbitrary arrests and extrajudicial killings has also been addressed in previous alternative reports for Ethiopia, and despite previous recommendations, the issue appears persistent. The Ethiopian government has had a rather oppressive policy towards human rights activists in Ethiopia, particularly towards people of Oromo and Ogaden descent. 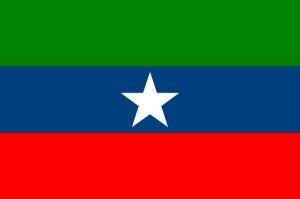 The Ogaden community has suffered especially dire situations as they fall victim to extrajudicial killings in their own villages. Finally, the UNPO’s alternative report dealt with the issue of torture in Ethiopia. As observing members of the Convention against Torture and Other Cruel, Inhuman or Degrading Treatment or Punishment, ratified 10 December 1984, the Ethiopian government has done little to protect its citizens from the cruel tactics employed by its police forces against defenseless citizens. The UNPO cited examples of extreme physical and mental abuse, in addition to sexual violence. Respect the state’s constitution that protects the right to peaceful assembly (Article 30), and to assume its obligations under international treaties such as the International Covenant on Civil and Political Rights, which Ethiopia ratified in 1966. Abide by its own constitution with special attention to Article 29 which grants all Ethiopian citizens the freedom of expression. Abide by the national constitution and ratified international human rights mechanisms such as the International Covenant on Civil and Political Rights (ratified 16 December 1966) and the Convention against Torture or other Cruel, Inhuman or Degrading Treatment or Punishment (10 December 1984) and to either charge those that are detained, bring them to court for a prompt and fair trial, or release them with immediate effect. Respect its constitution and international norms especially Article 6 of the International Covenant on Civil and Political Rights which it ratified in 1993, and stop extrajudicial killings. Desist in its inhumane treatment of the Oromo and Ogaden people, respect its constitution and international obligations and to investigate cases of alleged mistreatment and bring those guilty to justice. Ensure fair and considered treatment of the Oromo and Ogaden communities – respectful of human and civil rights – which would fulfil their obligations made to the International Covenant on Civil and Political Rights and the Convention against Torture or other Cruel, Inhuman or Degrading Treatment or Punishment as well as their own constitution. The UNPO acknowledges the Ethiopian Government’s attempts to implement the Convention on the Rights of the Child. However it urges them to fully implement the articles of the Convention and in particular to put greater efforts into the creation of an effective juvenile justice system.